I absolutely love potatoes. As I mentioned in a post about what I eat when I’m not cooking my more semi-elaborate meals, a baked potato is my favorite standby. I also love the Olympics. Twice this week I’ve sat down with the computer with every intention of giving you a delicious recipe to try, and twice this week I’ve gotten sucked in as soon as Bob Costas starts giving his re-cap. I’m a little sad that it’ll be over on Sunday, but at least I will get my life back. Who knew women’s handball and BMX semifinals could be so enthralling? 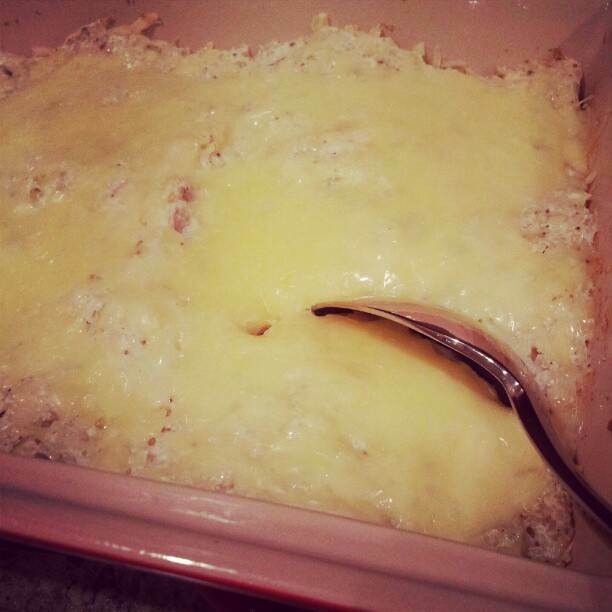 So since I’ve been non-existent this week, I figured I owed you a really yummy recipe. 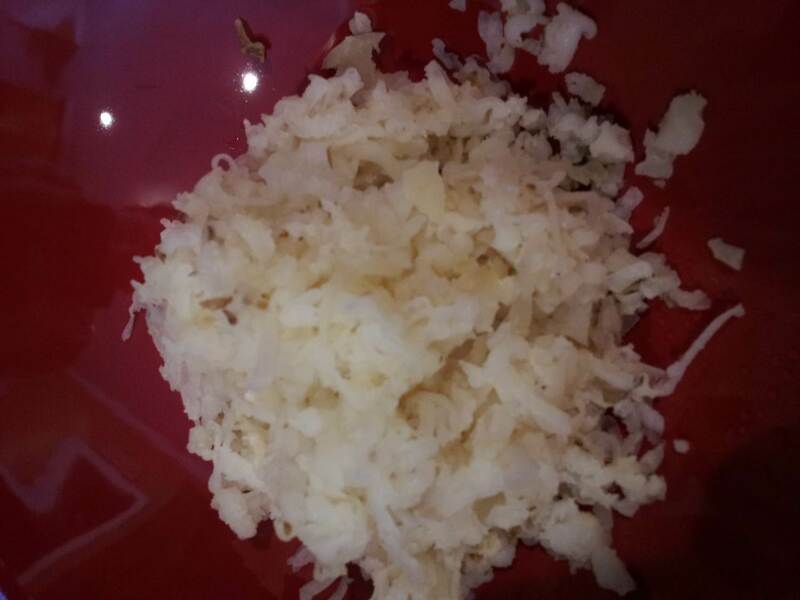 This recipe does need some advanced prep work, but I promise you friends, it totally pays off – in taste and in grating so much you might build some good muscle tone! (It also makes a lot, so you will probably get to enjoy leftovers unless you have a really big crowd!). Preheat your oven to 425. Scrub and dry potatoes. 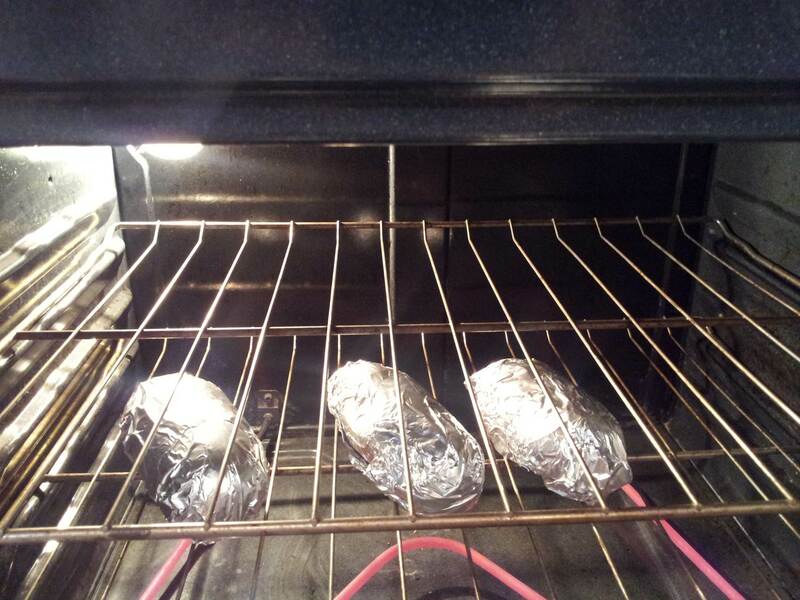 Wrap in foil and bake for 1 hour and 15 minutes. Let potatoes cool – you can use the freezer or refrigerator to speed up that process if you’re running a little short on time! 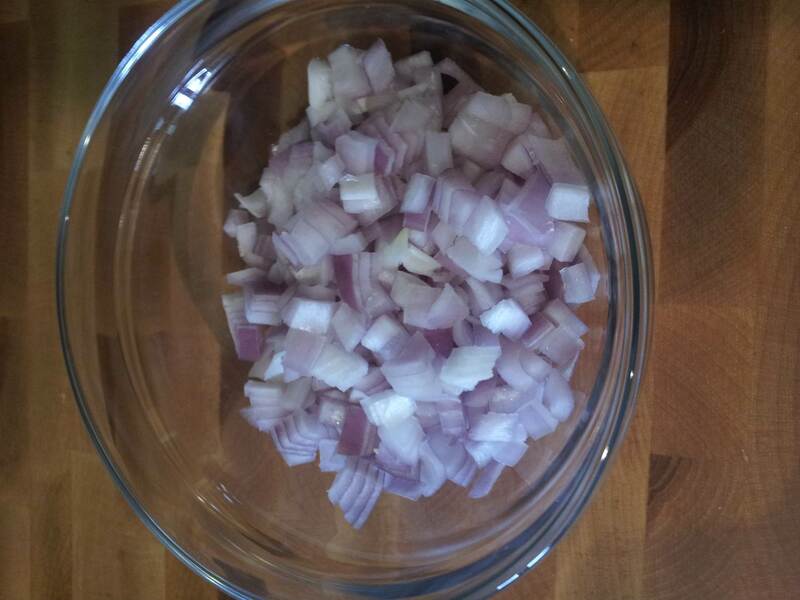 While potatoes are baking, mince your shallots and grate your cheese. When potatoes are cool enough to handle, grate into a large bowl. I leave skins on as much as I can to give it a little texture, but sometimes it starts coming off in big pieces so I just discard those. 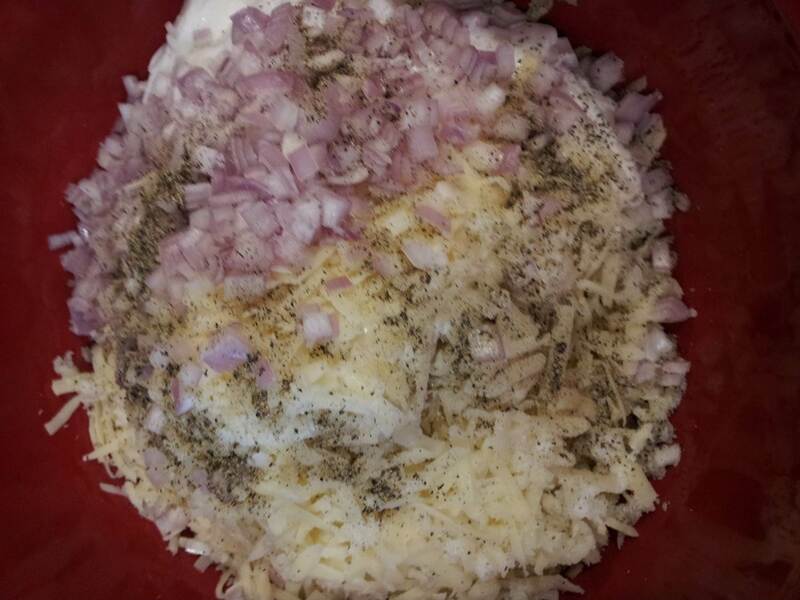 Add sour cream, half of your cheese, shallots and salt and pepper. I usually end up adding a little more salt since there is a lot of potato to season! 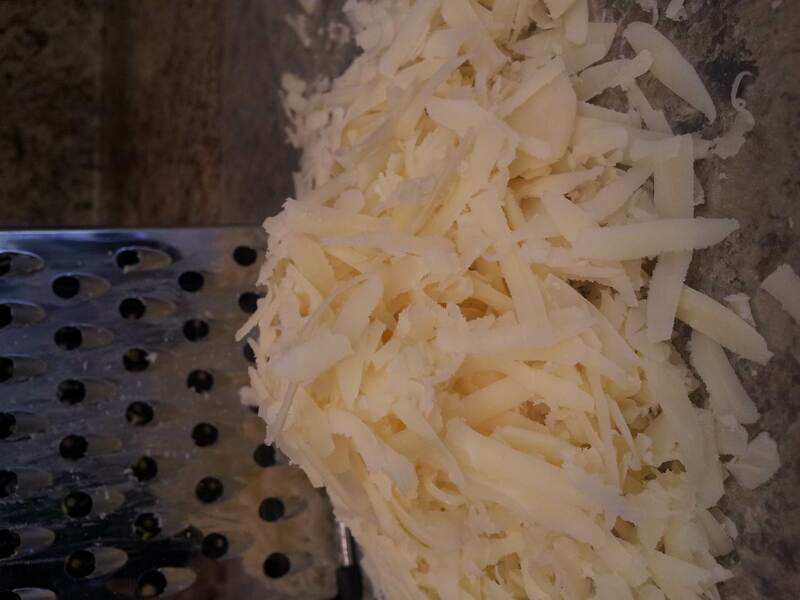 Gently mix with a rubber spatula or your hands so you don’t end up “mashing” the grated potato (this is why you let it cool – if it’s too warm, it mashes easier). 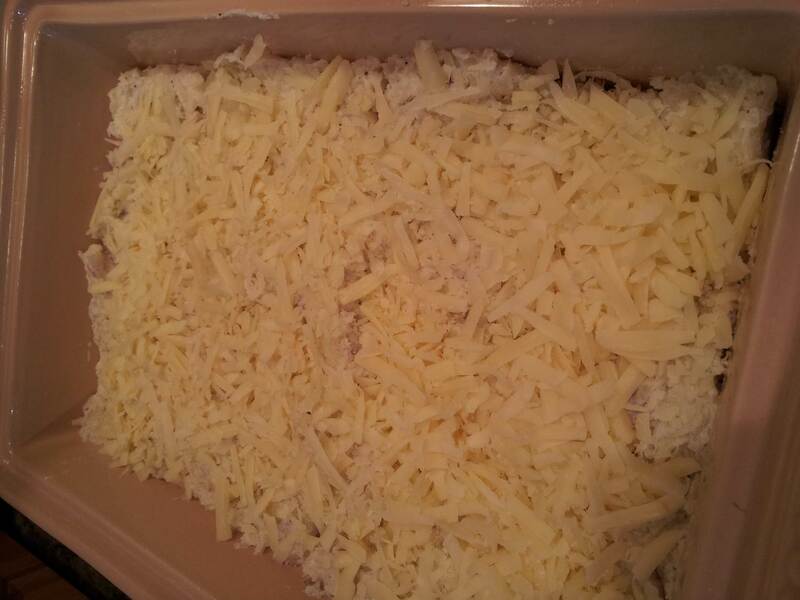 Place mixture in a lightly greased baking dish and top with remaining grated cheese. Bake at 350 for 25-30 minutes and serve. 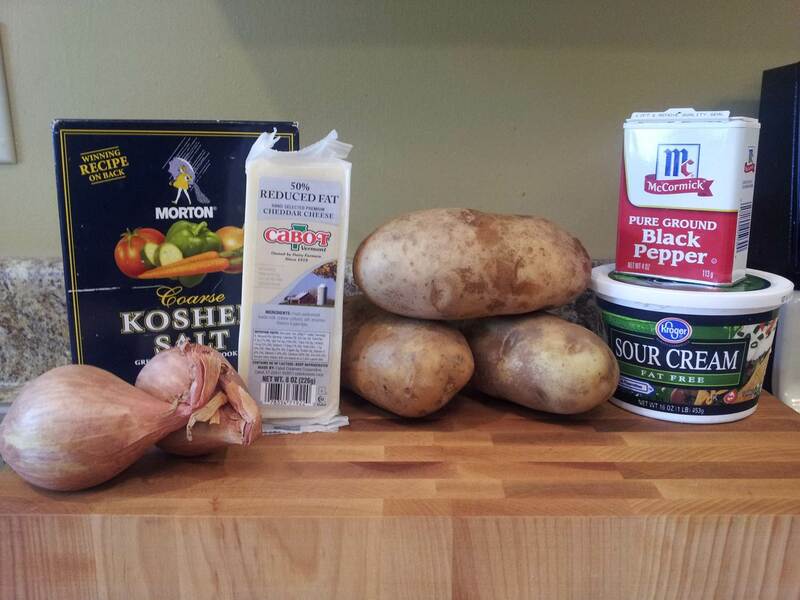 This entry was posted in Potato, Side Dishes and tagged casserole, cheddar cheese, fat free sour cream, Potatoes, romanoff by cookingonthebrightside. Bookmark the permalink.